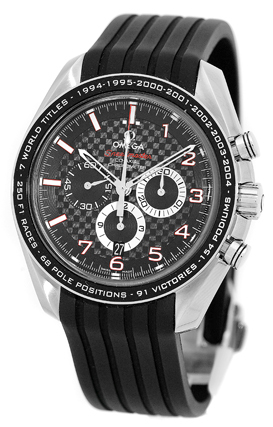 Gent's Stainless Steel Omega "Speedmaster Schumacher Racing Legend" Chronograph. 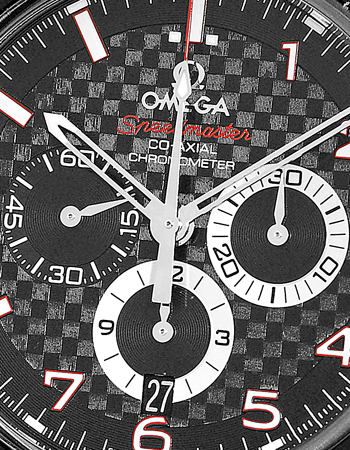 Black Carbon Fiber Dial with Red & White Arabic Numerals and Baton Hour Markers, Subsidiary Second Hand, Date Indicator. 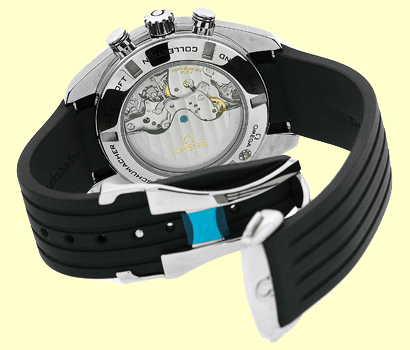 Stainless Steel Black Bezel, Chronograph Functions and Sapphire Crystal. 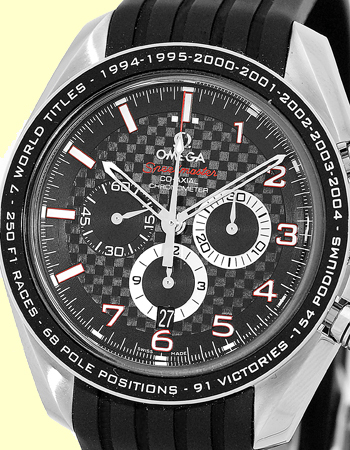 Highest Quality Black Rubber Omega "Speedmaster Michael Shumacher The Legend" Strap with Stainless Steel Omega Deployant Clasp. Handmade Swiss Automatic Chronometer Certified Movement. 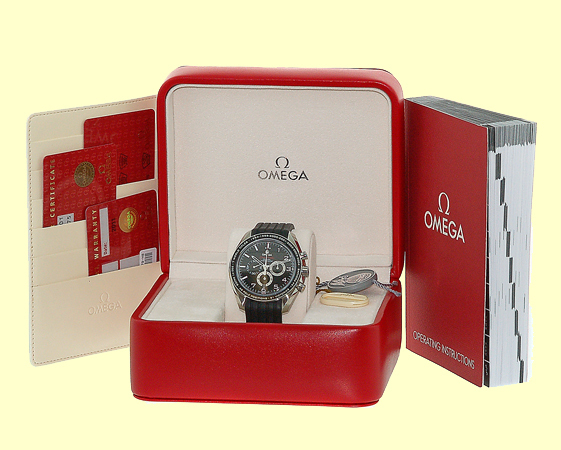 Brand New, Showroom Fresh with Omega Box, Booklet, Warranty Cards, Hang Tags, and complete with Capetown's Lifetime Warranty! !